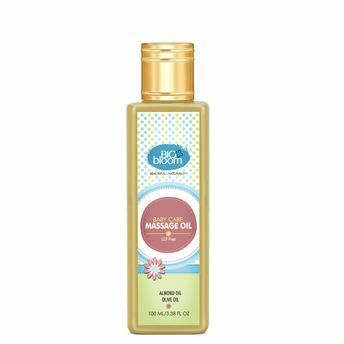 Biobloom's Baby Massage Oil is a blend of Cold Pressed Sweet Almond oil, Olive Oil & Organic Vegetable Oil to nourish the child's skin. This Biobloom Baby Massage Oil is free from all Petrochemicals & Contains NO LLP. It is rich in vitamin E and takes care of your baby's skin the way nature intended to. Enriched with the goodness of Sweet Almond oil, Olive Oil & Organic Vegetable Oil .